If you don’t work in the diabetes field, or know someone with type 1 diabetes, you may not have heard of Flash Glucose Monitoring or Libre. This is something that CCGs now need to know about thanks to new mandatory criteria from NHS England. People with type 1 diabetes require insulin treatment however over the last few years the rapid rise in medical technology and innovation has given us different methods for delivering insulin and monitoring blood glucose levels. Access to these innovations has caused debate, not least due to their cost. Flash Glucose Monitoring (currently in the UK; Freestyle Libre) is a new way of monitoring glucose levels. A sensor is placed on the upper arm for 14 days, measuring interstitial glucose. The sensor is scanned with a reader providing current glucose reading, a trace for the previous eight hours, and importantly trend direction arrows depicting whether glucose levels are going up, down or stable. This empowers the individual person with diabetes, providing a much clearer picture of their glucose levels through the day and overnight compared to traditional ‘snap shot’ finger prick blood glucose testing, informing the person’s decision about any action needed. Each sensor costs £32.47. As a comparison, test strips for blood glucose monitoring cost between £12.21 and £37.03 if checking levels eight times a day over the same period (depending on device used). That would also be 112 uncomfortable finger pricks. The Libre system has been available to buy in England since 2014 and on NHS drug tariff since November 2017. However there is huge variation in prescribing – in some areas over 20% of their population of people with T1 diabetes have been prescribed Libre, in other areas it is 0%. Recognising this unacceptable variation, the NHS Long Term Plan announced that, “patients with type 1 diabetes would benefit from life changing flash glucose monitors from April 2019”. The full guidance was published on 7 March 2019. It sets out the criteria for people suitable for flash monitoring, including the need for education and follow up. NHSE will reimburse CCGs for each set of sensors prescribed for up to 20% of their population with type 1 diabetes – minus a proportion of cost savings from reduced requirement to fund test strips for this group. When Libre became available on NHS drug tariff, the Northern NHS Treatment Advisory Group (NTAG) produced guidance on its use recognising that improving long term control through enhanced testing reduces the burden of long term costly diabetes complications and enhances a person’s quality of life. Newcastle Gateshead CCG worked with other CCGs in the North East and Cumbria and secondary care colleagues, to support prescribing from Diabetes Centres via our Value Based Commissioning system. Following the recent announcement we will be reviewing our local criteria and prescribing systems to ensure we are following the national guidelines. Locally the NHSE document has been circulated to relevant clinicians and commissioners, the medicines optimization and finance teams, and there will be a Diabetes Clinical Network meeting soon where this will be high on the agenda. For individual CCGs this is a relatively small piece of work. For people with diabetes this is a hugely important step forward, and there will be people contacting GPs, hospitals and CCGs from the 1st of April asking about Libre. Type 1 diabetes is a relentless and invasive long term condition where multiple daily decisions are needed about food, exercise, and insulin – with both immediate and long term health impacts. This device can make a very real difference to some people. When I asked secondary care colleagues and patients who have used Libre to tell me about it, the phrases used were “game-changer”, “life changing”, “I’m in control”, “better understanding”. At the Diabetes UK Professional Conference earlier this month, early results from the ABCD audit of Freestyle Libre showed significant improvements in HbA1c, improvement in diabetes related distress and possible reduced admissions (awaiting one year follow up data). Finally, in the 2017/18 National Diabetes Audit only 29.9% of people with type 1 diabetes had an HbA1c <58mmol/mol, and this is static since 2013. The things we are currently commissioning and the blood glucose test strips we are prescribing, are not leading to an improvement in results for most people. This indicates the need to do something different. The NHS England Diabetes team has made it easier for us, with national criteria and reimbursements – CCGs now need to work with local diabetes specialists to deliver, and stop the postcode Libre lottery. Dr Becky Haines has been a GP partner at Glenpark Medical Centre in Dunston since 2002. 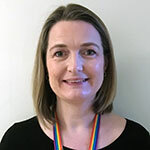 She has been the practice lead for diabetes since then, involved at a PCT then CCG level for most of this time and became the Gateshead Clinical Lead for Diabetes NGCCG in 2014. She is also a Year of Care trainer and has helped to implement YOC care and support planning across the CCG. She is an RCGP Champion for Collaborative Care and Support Planning. Why can’t I get the criteria for taunton area from anyone?? This blog highlights a very important message to commissioners. Change will need to happen for the benefit of all our patients with type one diabetes who struggle to manage their control. We cannot sit back and talk rhetoric and the need to support patients to self manage their condition without giving them the tools to do it well. However we still need to manage the cost implications so difficult decisions are ahead.